Stamped Sophisticates: Traveler stamp set...another retiring set from Stampin' Up! Traveler stamp set...another retiring set from Stampin' Up! 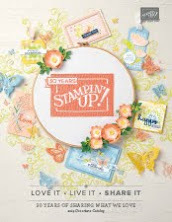 Another wonderful set that retires May 31 is the Traveler set from Stampin' Up!. This card is dear to my heart because the old-fashioned pull-out camera is one of the antiques passed down to me from my father. The decor of my home is pretty eclectic; more towards a modern look...except for a couple of antique furniture pieces, including an antique mahogany fold-down secretary desk with a number of pigeonholes. This camera and the desk are so special because my mom and dad and I were shopping garage sales one one the the few trips they made from Minnesota to visit us in Houston. We found the antique desk together, and the camera found a wonderful home where I could look at it every day. This card reminds me of the wonderful memories with my mom and dad. The Travelers stamp set includes six images, all with the same amount of detail as the camera on this card. Sadly, it will retire May 31. I think this card works for either a mother's day or a father's day card and used it to make a card that could be used for either Mother's Day or Father's Day. I used a Soft Suede base card and then a layer in Basic Black, which seemed appropriate for a camera. Then I made a frame out of wood grain paper from the new Wood Textures Designer Series Paper Stack. that reminded me of the Mahogany drop down secretary desk where my camera sits. I used the Layering Squares Framelits to make the frame, and then used the smalled Stitched Shapes Framelits Die to make the oval for the sentiment. The ribbon is a small piece of the 5/8" burlap ribbon, which will carry over to the new catalog, along with a small piece of the new 1/4" Copper Trim from the upcoming June 1 catalog. The sentiment is stamped in Soft Suede. The sentiment is from the Thoughtful Banners stamp set, an extremely versatile set with over 46 different sentiments and 3 different banner outlines. This sentiment set is from the current catalog, and will carry over to the new catalog. It has a coordinating punch to punch out the banner shapes, or the sentiments work on many other sentiment shapes, like the ovals I used on these cards. Are any of your favorites on the Retiring list? Many items have already sold out, so any items still on your Wish List should be purchased now, before they're gone. Many bundles in the current catalogs will be available as individual items in the new catalog coming out June 1. You can save 10% by purchasing these bundles now from the current catalog, at the bundle prices. 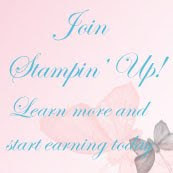 Let me know if you have any questions about how to purchase your favorite bundles -- stamp sets and coordinating dies or punches. As accessories sell out, they will no longer be available. However, retiring stamps will be restocked until May 22 and then sold only while they last. See the products retiring May 31, some discounted up to 50%. May 02 - Demonstrators can begin placing pre-orders from the 2017-2018 Annual Catalog from a limited selection of new catalog merchandise. Demos can access a down-loadable copy of the new June 1 catalog on line at the demonstrator-only website, and can place a demonstrator pre-order from a pre-order brochure of new catalog items. Your pre-order will allow you to participate in demo-only swaps and you'll have samples to show from the new catalog when it is released June 1. Your pre-order will include a copy of the new catalog. Sign up or re-sign up as a demonstrator now so you can order early and also order your new-catalog merchandise at demonstrator-only discount prices. 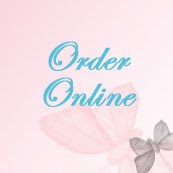 Demos who sign up today can order new catalog pre-order merchandise for their demo kit selections. June 01 - New Stampin' Up! yearly catalog release date for customers. I'll send new catalogs to customers who have ordered from me during the past year to arrive in late May so you'll have the new catalog in your hands, ready to order June 1 when items from the new catalog become available.